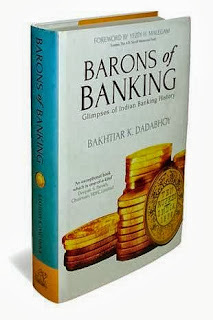 Barons of Banking highlights the contributions of six distinguished personalities from the world of banking—Sir Sorabji Pochkhanawala, Sir Purshotamdas Thakurdas, Sir Chintaman D. Deshmukh, A.D. Shroff, H.T. Parekh, and R.K. Talwar— who not only played a pioneering role in the growth of the institutions which they founded, or were actively associated with, but left an indelible mark on the banking industry as a whole. Through the narration of the history of five key institutions - the Central Bank of India; the Reserve Bank of India; the State Bank of India; the Industrial Credit and Investment Corporation of India Ltd; and the Housing Development and Finance Corporation Ltd—the author gives us a keen insight into the contributions of these luminaries to banking in India. Also included is a narration of the recommendations of important committees and commissions which influenced the course of Indian banking. Divided into four parts, the book uses hitherto unused archival material recently put in the public domain by the RBI. Of particular interest is a discussion of the acrimonious relationship between Sir James Grigg, the Finance Member of the Viceroy’s Executive Council and Sir Osborne Smith, the first Governor of the RBI, which throws fresh light on a spat which remains unprecedented not only in the bank’s history, but possibly in all of banking history. Meticulously researched and engagingly written, this book will be of interest to both the academic and general reader and, of course, to the professional banker interested in a selective peep into the history of his profession. Bakhtiar K. Dadabhoy is a civil servant based in Mumbai. He was educated at Hindu College, Delhi University, and at the Delhi School of Economics. He is the author of five books including the best-selling Jeh: A Life of JRD Tata and Sugar in Milk: Lives of Eminent Parsis. 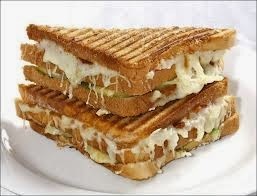 Dadabhoy also contributes articles to newspapers and magazines. He did a daily column ‘This Day in History’ for the Hindustan Times and HT Next for five years. His other interests include painting and quizzing. He was on BBC’s Mastermind India in 2000. Having worked in the financial services for almost a decade now Mr. Deepak Parekh is a person I hugely admire for all that he believes in, does and stands for. When I read his recommendation on this book I knew I had to read this one. I have been seeing this industry closely only since past 1.5 decades and yes it always made me wonder how it all started. There must be some point where we did not have any banks or loans facility. Someone must have thought of all these process. The RBI, CIBIL, SEBI etc must have been construed by someone and outlined the way for them to function. This book is an answer to all of the questions one can ever think of with reference to this. What fascinated me the most was the detailing done by the author in elaborating each and every minutest aspect of banking in terms of abbreviations, names, places all intact. This book can easily be called the Bhagwad Geeta of banking with its detailed description about the whole way it all came up. The author has used a very easy to understand layman’s language making it a very easy read. The book owing to its size it a bit of a heavy read with all the detailing involved but then when you talk about history the books are always bulky. As you hold the book in your hands you realize you are holding treasure to be cherished and you can feel the amount of hard work put behind it by the author. Tremendous efforts which surely need to be applauded! Overall an excellent book to be read and a crown to have in one’s personal collection for it is surely a tale each and every child of the country needs to know – Why we are, what we are!